Summer on California's Central Coast means the beach, free Friday concerts at the Mission, white wine—and strawberries. 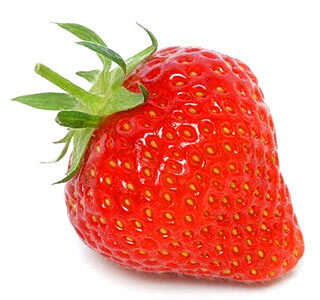 Weather and soil conditions allow strawberries to be harvested up and down the coast all year long. Last year, California produced more than 2.3 billion pounds of strawberries (88% of the country's total), and all of those pounds were picked by hand. These figures are on my mind, because the nearby village of Arroyo Grande welcomes summer with its Strawberry Festival this weekend. The festivities include amusement park rides, art and crafts for sale, the Strawberry Stampede for runners, the Strawberry Blonde competition for children, and, of course, waaay more than enough strawberries for everyone. As you know, we Material Witnesses are celebrating the arrival of summer, too. I hope no one has ever gotten sick from over-reading, because here are just a few of the books we still have to show you. A few decades ago, if you were looking for a crime fiction series set in South Africa, the pickings were very slim. There were James McClure's wonderfully gritty series with Afrikaner police detective Tromp Kramer and his Bantu police sergeant, Mickey Zondi, and Wessel Ebersohn's Yudel Gordon series, featuring a Jewish prison psychiatrist, and that was about it. Now there are a few more, including those by Jassy Mackenzie (PI Jade de Jong), Deon Meyer (Det. Insp. Benny Griessel), and Malla Nunn. Nunn's police procedural series features lyrical writing, suspense, and a fast pace. Its English Det. Sgt. Emmanuel Cooper is a good man working in the 1950s, when the ugliness of apartheid fills the air. South Africa, the native country of Australian filmmaker and writer Nunn, practically breathes on the pages. We first meet Cooper in Nunn's 2008 book, A Beautiful Place to Die, when he investigates the death of an Afrikaner police officer, Captain Willem Pretorius, in the border town of Jacob's Rest. 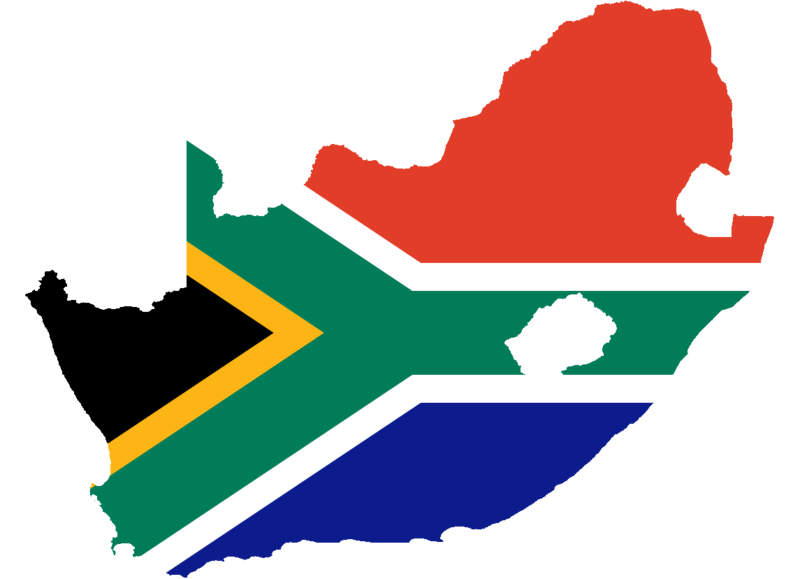 New apartheid laws regulating the interactions between blacks and whites are on the books; political relations between white Afrikaners and English South Africans are uneasy. Assisting Cooper is the able Zulu constable Samuel Shabalala; the Security Branch, bent on its campaign to round up black communist radicals, is less than helpful. The upcoming fourth series book, Present Darkness (Emily Bestler Books/Atria, June 3, 2014), sees Cooper assigned to investigate the 1953 break-in of a Sophiatown house, during which Ian Brewer, a white high school principal, and his wife are savagely beaten. Their 15-year-old daughter, Cassie, insists she recognized the voices of the two criminals: black students participating in an extracurricular program. One of them has an alibi; the other, the son of Cooper's longtime friend, DC Shabalala, doesn't. Although Cooper doesn't believe Cassie's story, his superior does. Needless to say, Cooper doesn't shrug and move on. Crime fiction doesn't have enough strong and sassy female protagonists, and striding confidently into this void is black LAPD homicide detective Elouise "Lou" Norton. I find it very promising that Lou is known on the street as "Lockjaw" and is described as "sweet as apple pie . . . laced with arsenic and rusty razor blades." Her caseload has a closure rate of 90%. That figure augers well for the current investigation in Rachel Howzell Hall's Land of Shadows (Forge/Macmillan, June 10, 2014), first book in a projected series. A black teenage Jane Doe, wearing a cheerleader's outfit, is found hanging in a closet in a condominium construction site. Lou's new partner, Colin Taggert, thinks it's suicide, but what does he know? He's young, brash, and fresh from Colorado. The tougher and more experienced Lou is not convinced. The development's owner is Napoleon Crase, whom Lou suspects of involvement in her sister Tori's disappearance 30 years ago. As if the complexities of this case aren't sufficient to fill Lou's plate, she also has her husband Greg to ponder. He's been unfaithful in the past; now on business in Japan, he's sending those smoke signals again. It's all enough to make early reviewers call this book "exceptional," and I'm smiling, just thinking about meeting Lou. I'm reaching for my heavy sweater and thick woolen socks, because British writer Dan Smith is back with another summer book. Last year, I said his The Child Thief (Pegasus Crime/W.W. Norton, 2013) was "sorta what you'd get if you popped David Benioff's City of Thieves, Geoffrey Household's Rogue Male, Tom Rob Smith's Child 44, and the Brothers Grimm into the blender and served it all over ice." Its narrator, ex-military sniper Luka Mikhailovich Sidorov, and a small party that includes his 17-year-old twin sons, set off through the Ukrainian woods in the winter of 1930 to find a young girl whose disappearance some villagers attribute to the Baba Yaga. The author evokes the bone-aching cold of winter with writing that's both poetic and suspenseful. The implacable villain and Stalin's men are almost as fearsome as that mythical witch. 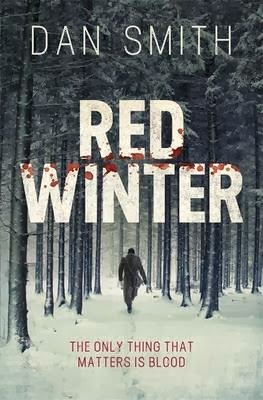 Smith's new book, Red Winter (Pegasus Crime/W.W. Norton, July 15, 2014), features Russian Nikolai Levitsky, who deserts the Red Army to bury his brother. When he returns home to Belev, he discovers the villagers, including his wife and children, are gone. Galina Petrova tells him that the legendary Koschei, or "The Deathless One," took them all away. Levitsky travels across a frozen Central Russia, during the Red Terror of 1920, to find his missing family. Like The Child Thief's Luka, Kolya finds himself both pursuer and pursued. These protagonists are memorable for their courage and decency during heartbreaking times. Boston is a terrific setting for all types of crime fiction. Just ask fans of Charlotte MacLeod, Hank Phillippi Ryan, Robert B. Parker, and Dennis Lehane. I'm intrigued by the first book of a proposed Boston series, Rory Flynn's Third Rail (Houghton Mifflin Harcourt, June 10, 2014). In this book, we accompany Eddy Harkness while his cop career takes a roller coaster ride. As a detective, Eddy's intuitive crime-solving skills propel him to a leadership role in Narco-Intel. His future seems golden until a deadly encounter with a drunken Red Sox fan is caught on camera, and Eddy is soon emptying parking meters in his hometown of Nagog, Massachusetts, and losing his Glock after a night of partying. Afraid to report its loss, he's reduced to using a fake gun. His dream of returning to work in Boston isn't looking realistic. Then a series of deadly accidents lead Eddy to uncover a dangerous new drug ("Third Rail") and collusion and corruption everywhere. Eddy's backstory, the Boston setting, and a sophisticated writing style suggest this book for fans of Dennis Lehane. I haven't read The Borrower, by Rebecca Makkai, but I've enjoyed her short stories in The Best American Short Stories. 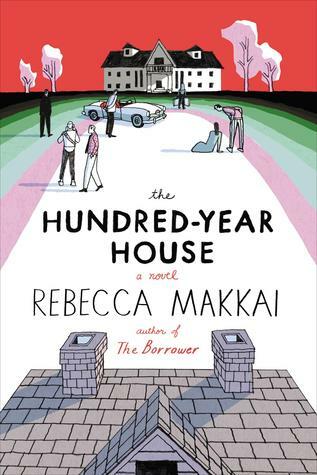 In The Hundred-Year House (Viking Adult, July 10, 2014), Makkai takes a witty and darkly comic look at time and place and how they affect our identities. Using a stylistically complex structure, she gives us the eccentric history of an estate on Chicago's North Shore. Laurelfield was once an artists' colony, but it is now a private home. The book begins in 1999, with Doug, an unemployed academician, married to Zee, Laurelfield's heir. Doug is searching for the colony's files. When he finds them, Makkai takes the reader back in time—with satisfying twists and turns at stops along the way—to its founding in 1900. I wouldn't recommend The Hundred-Year House to people who most enjoy linear plots or dislike books with many characters. Readers who like books with intricate parallel narratives might really enjoy it. Tom Rob Smith! We waved goodbye to Smith's Leo Demidov and Stalin's Russia three years ago, and I'm happy to report that his new psychological thriller, The Farm, will be published by Grand Central Publishing on June 3rd. Smith gives us an interesting twist on the themes of paranoia, obsession, memory, aging, and loss that Della Streetwise wrote about yesterday. In Emma Healey's Elizabeth Is Missing (Harper/ HarperCollins, June 10, 2014), narrator Maud Horsham, who struggles with dementia, believes that her friend is missing, although others dismiss her fears. In The Farm, the narrator, named only Daniel, lives in London. Daniel believes his parents are happily retired on a farm in Sweden. Then he gets a distressed call from his father. His mother has been hospitalized after a psychotic breakdown, and she believes "terrible, terrible things." Before Daniel leaves for Sweden, his father informs him his mother has disappeared. Next comes a call from his mother, who says everything his father told him is a lie, and she's on her way to Heathrow. She arrives with a satchel full of notes, and a complicated story of at least one corpse and a conspiracy involving his father. 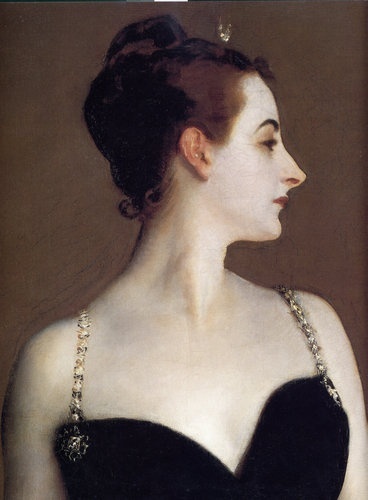 Her ominous tale, full of haunting images, leaves neither Daniel nor the reader knowing exactly what or whom to believe until Smith's resolution. 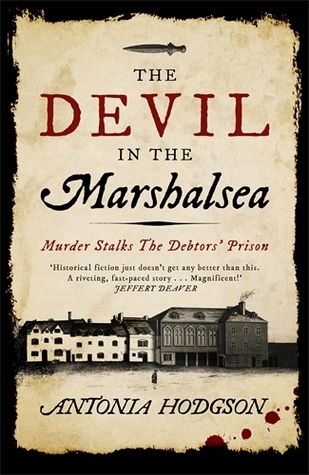 The debtors' prison in Dickens' Little Dorrit is paradise compared to the hellish 1727 version of Marshalsea Gaol created by Antonia Hodgson, editor in chief of Little, Brown UK, in her first book, The Devil in the Marshalsea: Murder Stalks the Debtors' Prison (Mariner/Houghton Mifflin Harcourt, June 10). From the reviews I've read, this book of historical fiction could be the poster child for the concept "strong sense of place." It's also receiving raves for its colorful, Dickensonian characters and "crackerjack" plot. So, what's it about? Tom Hawkins, 25-year-old estranged clergyman's son, has won enough money gambling to clear some of his debts, when he's robbed and thrown into Marshalsea Gaol. There, he finds what is essentially a corrupt pay-to-play system of survival, with the unfortunate left to rot on "the Common Side." His only chance to survive is offered by the authorities: to discover who killed another prisoner, Capt. John Roberts, whose death was originally declared a suicide, before he himself dies. Fans of Iain Pears, put this one on your agenda. During the summer, happiness is bees humming, a shady spot under the oak tree, a glass of lemonade, an oatmeal cookie, and an apocalyptic or dystopian read. Thomas Sweterlitsch's first novel, Tomorrow and Tomorrow (Putnam Adult/Penguin Group (USA), July 10, 2014), will fit that scenario. In an original book that early reviewers call riveting, disturbing, and moving for its portrait of the universality of grief, no matter what the time or place, much of Pittsburgh, Pennsylvania, lies in rubble 10 years after a terrorist's nuclear bomb. Dominic Braxton's life was saved because he was traveling out of state, but his pregnant wife was killed. Now, he uses the city's Archives, "a fully-interactive digital reconstruction of Pittsburgh, accessible to all who want to visit and remember," to not only investigate insurance claims, but to relive times with his wife. This obsession is interrupted by his awareness that files relating to Albion Waverly, the murdered daughter of a very wealthy and powerful man, are being deleted. Braxton moves back and forth across a vanishing border between reality and virtual reality in his efforts to uncover the truth of Albion's death. I have more books to preview, but tomorrow Sister Mary Murderous has some upcoming British mysteries and police procedurals to talk about. Ooh, LAND OF SHADOWS and TOMORROW AND TOMORROW sound interesting. This is the first I'm hearing of either of them. I've got THE FARM, THIRD RAIL, and RED WINTER in my TBR for review.